Diana joined Springer Financial in 2001 and has worked in financial services since 1985. Diana holds EA, LUTCF and RFC designations and Series 7, 63, 24, 53, and Life, Accident and Health Licenses. Diana is passionate about helping clients of Springer Financial achieve their long term financial goals, and in her words, “Sleep when the wind blows.” Her other passions include corgis, horses, and cowboy poetry. Diana subscribes to The Code of the West and Ride for the Brand. Diana's love for horses moved her to Texas where she met her husband, horse and people trainer, Scott Overcash. 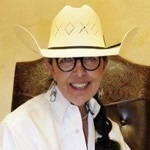 Diana is a member of the NCHA, AQHA and Western Music Association.